JESUIT Center for Theological Reflections (JCTR) says the proposal by ZESCO to increase electricity retail tariffs will worsen Zambia’s economic performance and perpetuate the high cost of living for the majority citizens. And the Centre for Trade Policy and Development (CTPD) says increments in electricity tariffs will not deal with problems facing the electricity sub-sector but increase the cost of living for Zambians. JCTR says electricity was a basic need that households, small businesses, commercial zones, mines and other industries depend on to run a number of activities. JCTR Social & Economic Development Programme Officer Chanda Chileshe expressed concern that the proposed tariff adjustment shows that the residential lifeline consumption up to 100kwh will increase by 213% from 0.15kwh to 0.47kwh. “The commercial consumption up to 200kwh will increase by 98% from 0.54kwh to 1.07kwh. The social service tariffs will increase by 143% from 0.49kwh to 1.19kwh. Maximum demand tariffs from 16kva to 300kva will increase by 75% from 24.45kva to 42.79kva,” he said. He noted that the reduced production, in turn, has the potential to result in job losses. Chileshe noted that in the past, JCTR warned that low-income households had turned to charcoal as an alternative energy source when the cost of electricity increased or when load shedding was rampant. “This, however, will have a negative impact on our environment and will exacerbate the effects of climate change. Therefore, JCTR urges ZESCO to drop the proposed tariff adjustments for the consumer categories listed above. To address the issue of ZESCO’s increased operation cost, JCTR urges the government to revise the power purchasing agreements made between ZESCO and individual companies to facilitate review of electricity tariffs for mining companies,” he said. Chileshe has further urged ZESCO to focus its efforts on alternative sources of energy, for instance, promoting the use of renewable energy which includes solar and biogas. “Promoting renewable energy is one way of diversifying the energy sector which has for a long time depended on hydropower. Depending on hydropower has become a liability because of the unpredictable rain patterns and changes in weather. Energy diversification should, therefore, be considered as a number one priority for ZESCO and should be widely promoted through research and education of the public,” he added. 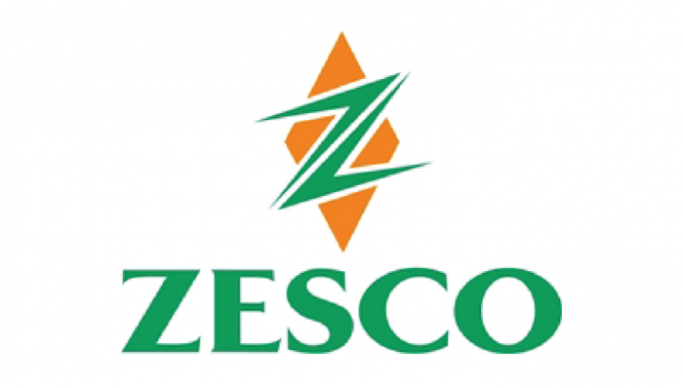 On 9th March 2019 ZESCO applied to the Energy Regulation Board (ERB) to revise retail electricity tariffs upwards. Among the proposals include the downward adjustment of the lifeline tariff from 200kwh to 100kwh and elimination of the monthly fixed charge for residential and commercial customers. ZESCO is basing proposed adjustments of tariffs on prevailing economic conditions such as the rise in the prices of goods and services and fluctuation of the Kwacha against the dollar that they say has contributed to increased operating costs. ZESCO managing director David Mundenge in his notice to ERB justifying the proposed increments said the power utility company had the equipment and supplies procured in foreign currency, therefore, weakening of the Kwacha against the dollar was making procurements expensive. And CTPD executive director, Isaac Mwaipopo said that no study had been done to justify the proposed increment from the previous adjustment to 75 percent in 2017. Mwaipopo explained that Zambians might end up financing ZESCO’s operational failures because there is no information on the utility company’s cost of production per unit. He has objected the proposal further, urging government to consider unbundling ZESCO into three separate entities; generation, transmission and distribution to improve its operations. Energy Minister Mathews Nkuwah recently disclosed that ZESCO had applied to the Energy Regulation Board seeking authority to increase electricity tariffs.